Event Description Babysitting is an important job. You need safety and life skills to take care of and protect children. 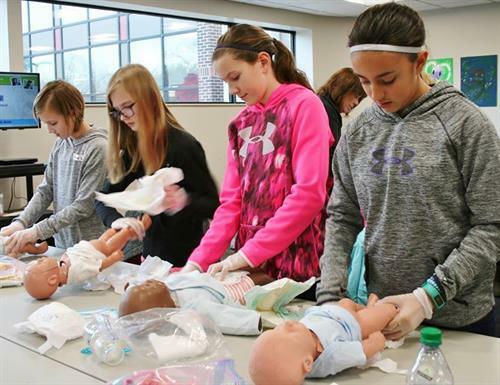 In this American Red Cross Babysitter's Training course, you will learn basic care giving, how to make good decisions, accident prevention and age appropriate play. The course is fun and fast-paced with hands-on activities, exciting video and lively discussions. You'll learn to be the best babysitter on the block. Plus, you'll gain the confidence to make smart decisions and stay safe in any babysitting situation. Impress parents by earning your Babysitter's Training certificate! Please bring a pen/pencil, note paper, and lunch to class. Course fee includes American Red Cross Babysitter's handbook and certificate. Space is Limited! Ages 10-15 Welcome.